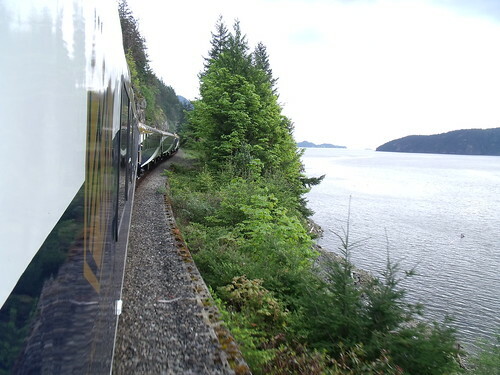 For years, I had wanted to take the Rocky Mountaineer. Years. You read right. YEARS. Ever since I found out that there was a beautiful train that would take me from Vancouver all the way up to Whistler, or the Rocky Mountains, or to Jasper and Banff, I figured “one day, I will take the Rocky Mountaineer… one day…”. Well that day was this past weekend. 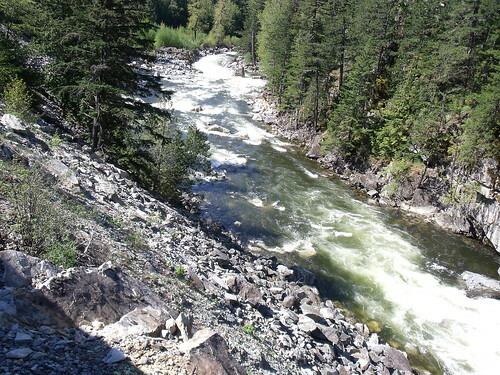 I took 3 days (you read right, 3 full days) off, as it was a long weekend coming up, and JT and I went up to Whistler on the Rocky Mountaineer. 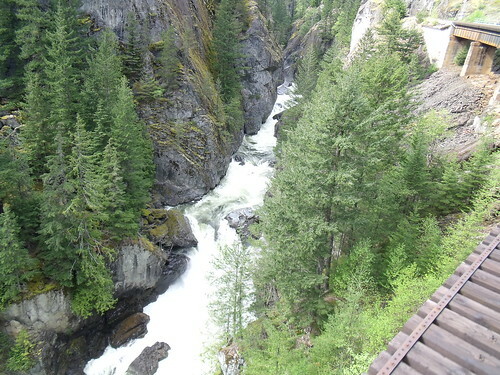 The trip JT and I took was the most wonderful Glass-Top round-trip Vancouver-Whistler-Vancouver ($335), not exclusively the only route that the Rocky Mountaineer offers. 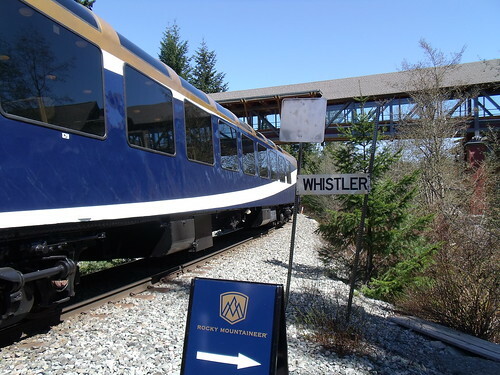 We were lucky because the Whistler Sea to Sky Climb season officially begun this past weekend, which means that we were amongst the very first guests to travel on the Rocky Mountaineer for the 2011 season. Even though I receive invitations to do media travel trips just about everywhere, I had been wanted to cover Whistler as someone who doesn’t ski for a long while, so I was ready to accept the invite from Tourism Whistler. And it was a fortunate coincidence that Brie Mason and Emme Rogers were also guests on the same train! On the way up (Friday, May 20th), the weather was absolutely glorious, both in Vancouver and in Whistler, throughout our travels parallel to the Sea-to-Sky Highway. 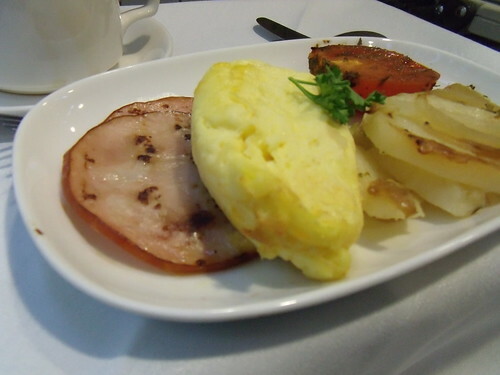 Included with the trip there’s plenty of non-alcoholic beverages and a hot breakfast, which was absolutely delicious. 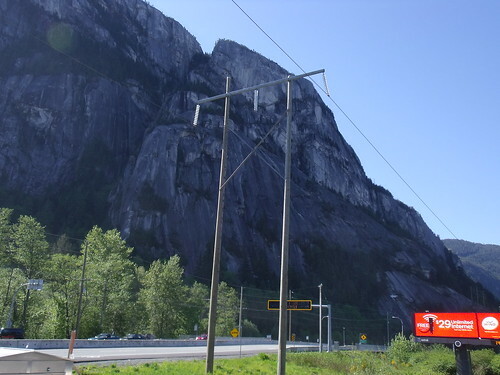 We saw some familiar sights along the way, like my good ol’ friend the Stawamus Chief, which I have climbed numerous times throughout my life in Vancouver. 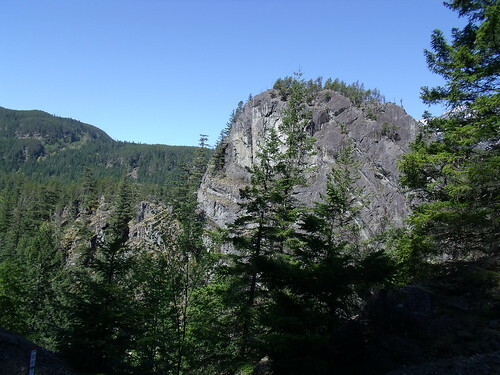 Located in the quaint town of Squamish, between Vancouver and Whistler, the Chief is a really nice hike and it provides a great workout to those who like to rock climb. I found one of the most interesting views was the one alongside the route of the train. I am still amazed at how popular trains remain as means of transportation, given that well, their speeds aren’t all that spectacular. But this (the Rocky Mountaineer) is not a quick train, and it’s not intended to be one. It’s intended for leisurely travel. The trip from Vancouver to Whistler takes 3 to 3.5 hours, and they fly by you. 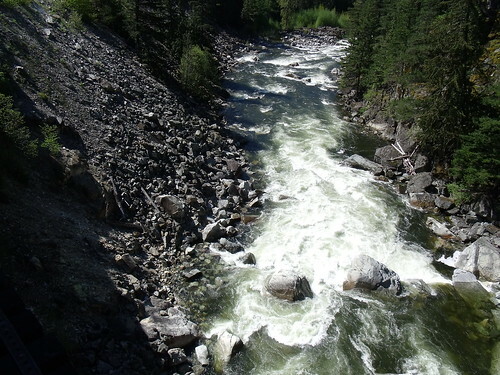 At every point, I was totally blown away by the extraordinary beauty of our province. 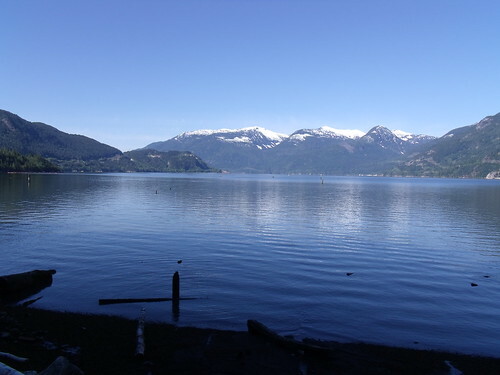 British Columbia is definitely one absolutely gorgeous province. And I’m a lucky man for living in one of the most amazing cities in Canada, Vancouver, and for having had the opportunity to travel throughout the way I have. The rivers, the canyons and in general, the view of the mountain, the ocean, Howe Sound and the forests around us were absolutely stunning. 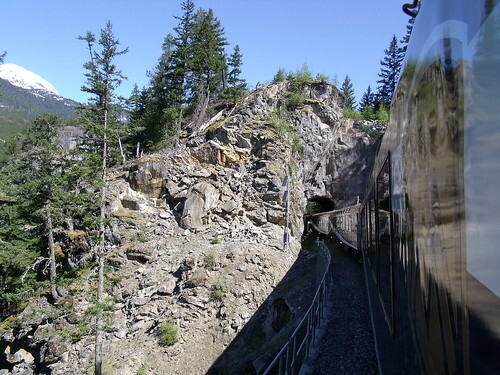 The Rocky Mountaineer is a one-in-a-lifetime, must-do experience. There are two ways to enjoy the Whistler Sea to Sky Climb route: the Whistler Dome Service or the Whistler Classic Service. 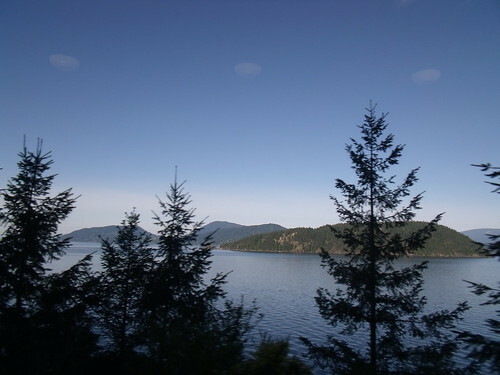 Both of them have their own qualities (obviously, one of them has more perks, the Whistler Dome Service), but whichever you choose, they are both amazing experiences. Rocky Mountaineer offers 45 unique Canadian vacation packages and four distinctive rail routes, rich in history and natural wonders, through British Columbia and Alberta. This world renowned, luxurious train travels by daylight through the wild beauty of Canada’s West and is the best way to experience the majestic Canadian Rockies, a UNESCO World Heritage Site. 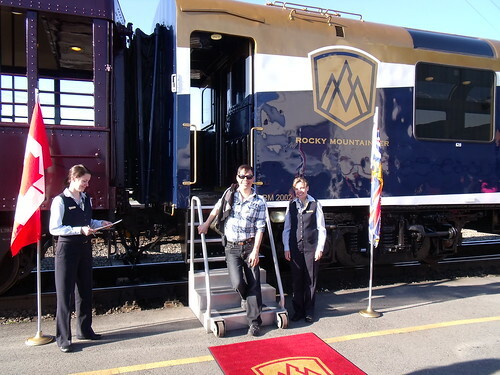 Over the past 20 years, Rocky Mountaineer has grown to become the largest privately owned passenger rail service in North America and has welcomed more than one million guests onboard from around the world. Arriving to the Whistler Rocky Mountaineer station, we were greeted with extremely friendly faces and a wonderful service from the staff on site. 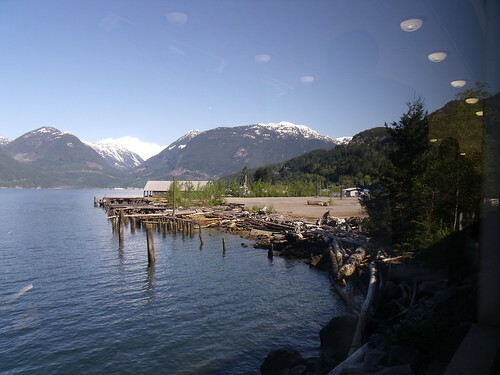 While there is a Traxx connection with partner hotels (included in your trip), we only connected by bus from downtown Vancouver (at the Fairmont Hotel Vancouver) to the North Vancouver train station. I definitely recommend the Rocky Mountaineer as one experience you MUST do at least once in a lifetime. I’ll absolutely be back, sooner than you think. Perhaps my next trip will have to be to Banff and Jasper. I’m a definite fan of the Rocky Mountaineer, for life. 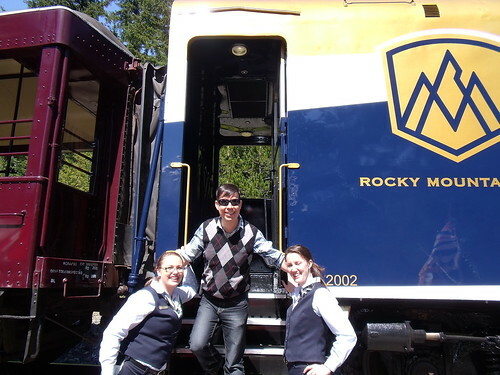 And you should know, the Rocky Mountaineer has a number of fantastic Special Offers that you should take advantage of. 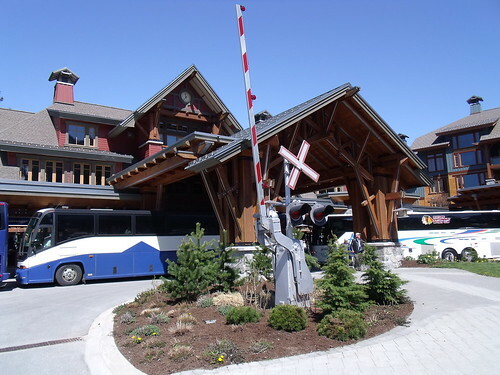 I went up to Whistler via RockyMountaineer with TravelAlberta during the Olympics. 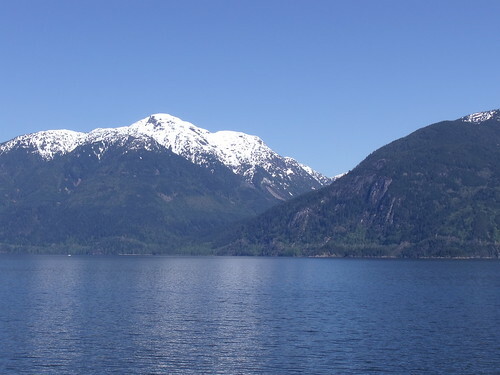 It’s an amazing ride up along the Howe Sound shoreline and into the mountains. Glad you had good weather, it was rainy for us. So many tressle bridges and ravines etc! It is neat how it stops at Nita Lake Lodge, and from there it’s relatively easy to head over to Creekside or up to Whistler Village. Was glad to have shared the leg up with you and JT. An absolutely wonderful experience that I have always wanted to enjoy since I road the Royal Hudson with my Grandfather, only made better by your being there. I love train travel!